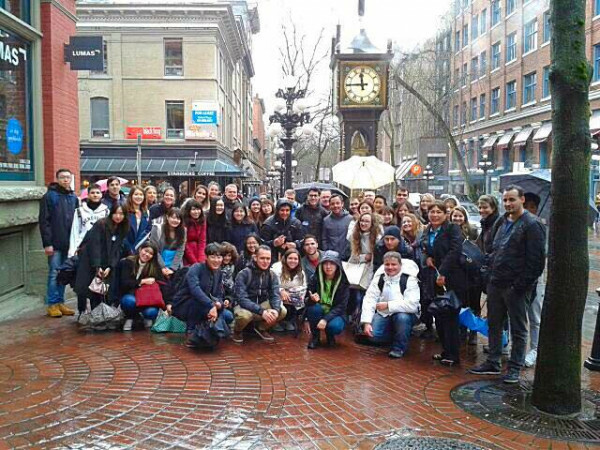 I made a lot of friends in Canada, and especially in EC Vancouver. At EC, there are students from all over the world, so you can meet different people every day. When I arrived at the EC, I was looking for people who can’t speak German, because I wanted to be forced to speak English. I can say that some of the people that I met there became really good friends. We would meet after school and discover Vancouver together. I learned a lot about their cultures and the countries that they come from. I had heard about those countries on TV, and read about them in newspapers, but it’s different when people who are from there tell you about their country. In Vancouver I did many things for the first time like, eating Taiwanese food and talking to people from Brazil and Columbia. Canada and the friends I made there changed my live. Studying English in Canada is one of my best decisions that I have made so far in my life.